The foldable Galaxy smartphone is expected to be made public at the upcoming Samsung Developer Conference. Nothing else is derivative from the logo for now. Samsung has been pulled into the limelight after internal leaks put out the details related to the Galaxy S10. Rumours have been also pouring in regarding the foldable smartphone that Samsung has been promising us for a few years now. Leaked information already says that it will have a form factor similar to flip phones of the yesteryears. And now, Samsung has confirmed the same — thanks to their updated logo before their Developer conference kicks off. Prior to the Developer Conference slated to begin this Wednesday, Samsung updated their logo for all their social platforms. 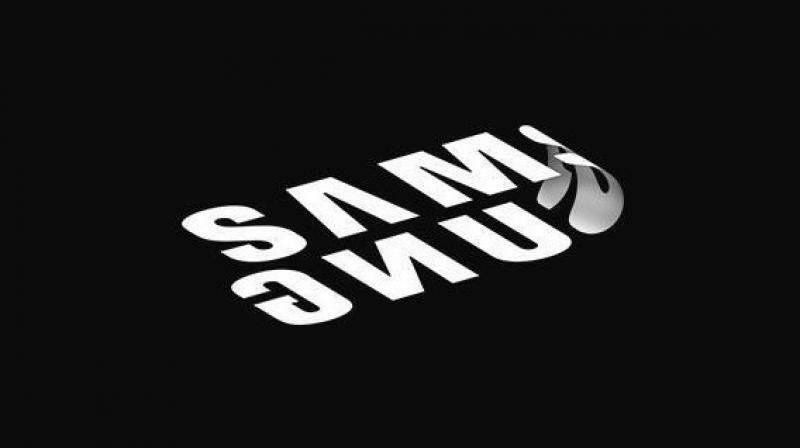 Through the new logo, they have teased the upcoming foldable Galaxy smartphone that we have been long waiting for. The logo suggests that phone will fold from the middle, similar to what the rumours have been describing until now. Nothing else is derivative from the logo for now. According to leaked information from a Samsung insider a few days ago, the foldable Galaxy F is supposed to feature a dual display setup — a 7.3-inch foldable display inside and a smaller 4.6-inch non-bendable display on the outside. Therefore, you could be able to probably use the normal display while on the move and switch to the foldable unit when you want your canvas to be big. The Galaxy F is rumoured to run on a specially developed software co-created by Google to make sure that the newer form factor gels well with the Android OS. There won’t be an in-display fingerprint sensor due to technical limitations too. The Foldable Galaxy F is expected to be launched alongside the S10 and will demand a hefty price.